William White Jr. in his biography of Cornelius Van Til: Defender of the Faith, summarizes Van Til in this way: “To concede that the mind of the thinker can by searching find out about God, or discover truth, be it Plato’s or Spinoza’s or Einstein’s, is in effect to fight the Lord’s battle in Saul’s armor.” Van Til believed with great conviction that the way to know God was by presupposing God; a presupposition that only came by the work of the Spirit. This was certainly revolutionary in Van Til’s day and it is quite revolutionary today. First, this cover story documents the fact that archaeology is not an exact science and that the discipline is heavily influenced by ideological interests. Claims and counter-claims often have as much or more to do with those contemporary agendas than with the study of ancient civilizations. Second, Christians should always remember that the truthfulness and authority of the Bible are not based upon any authority external to the Bible itself. There is no external evidence required to “prove” the Bible’s truthfulness. It stands on its own claim to be the Word of God. 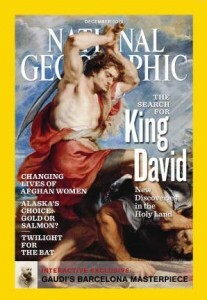 Archaeology may sell magazines and make for interesting reading, but it cannot prove nor disprove the Bible.